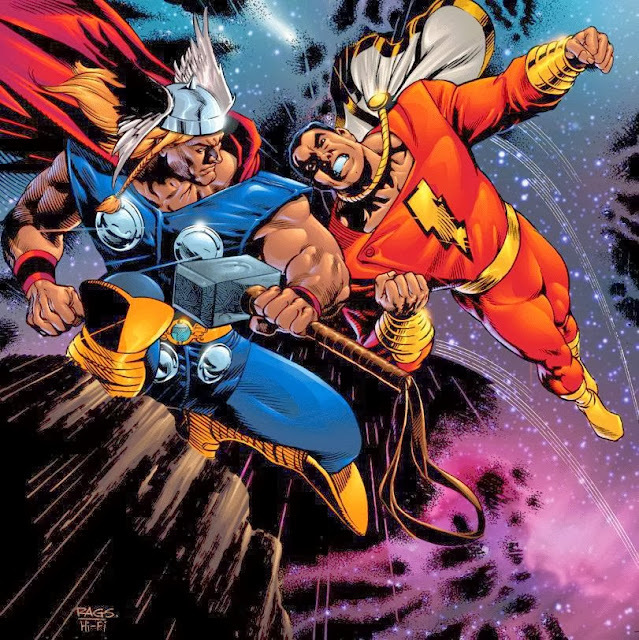 Crossovers That Should Happen: Thor vs. "Shazam" Captain Marvel! You know what? I see quite a bit of fan art or commissioned professional art on the net, and a lot of the time, what they do is mash up a couple of characters. This one's my favorite, and I figure, why not come up with a plotline around it? Crossovers That Should Happen Just Because of a Random Thing on the Internet! The Mighty Thor vs. The World's Mightiest Mortal, Captain Marvel! All right, so how does this go down? Well, it can only involve a case of mistaken identity! 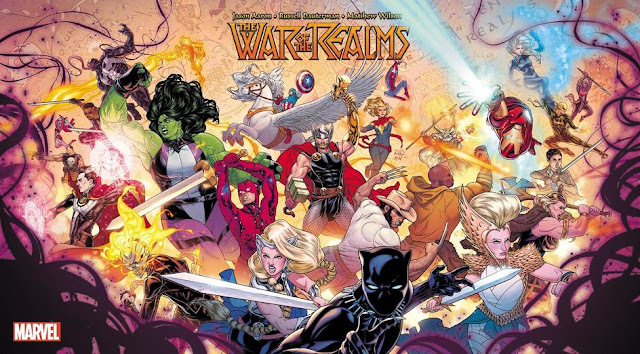 Loki, the god of mischief, decides to make some trouble by teleporting Black Adam right into the middle of a celebration that involves Balder, Sif, and the Warriors Three. With the element of surprise and also just because the story calls for it, Adam's able to take down the guys and escapes, leaving Lady Sif alone to chase him. Thor gets to the scene of the battle soon afterward and asks the Warriors Three what happened, and all Volstagg could do is describe the assailant as an incredibly strong flying man with a lightning bolt on his chest. Just in time, Captain Marvel, sent by the wizard Shazam, shows up in Asgard, and Thor mistakes him for the one who's attacked his friends. ...which Captain Marvel then catches, stunning Thor. Cap swings the hammer at Thor, but Thor blocks Cap's swing, realizing that if Cap is worthy to hold Mjolnir, he can't be the one he's after. The two of them exchange stories, and that's when Loki and Black Adam show up.